On a day that was filled with various other kinds of Trump administration chaos, it was Melania Trump who found her way to the top of Twitter’s trending topics list – and for a surreal reason. Donald Trump made a public appearance with a woman who was supposed to be Melania but didn’t quite look like her, and then he protested a little too much about it really being her. It set off a day’s worth of conspiracy theories, including one involving a Secret Service agent. On the one hand, upon close inspection, that does not look like Melania. The facial structure is off, the cheekbones are wrong, the hair appears to have been combed forward to obscure her facial features, and the absurdly oversized sunglasses are precisely what an imposter would wear. On the other hand, the most plausible explanation is that Melania was having a bad day and thus simply didn’t look like herself. It happens to everyone on occasion. Then again, this is precisely the kind of cartoonish amateur hour stunt that Trump and his band of idiots would come up with. So what gives? 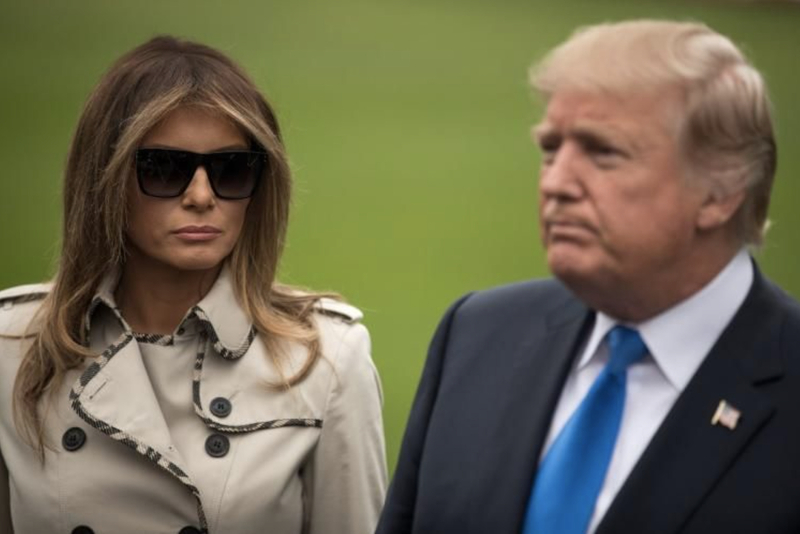 One popular theory is based around the fact that Melania Trump rather bizarrely has a Secret Service agent assigned to her detail who just happens to look very similar to her (link). Some have suggested that the Trump administration may have purposely had this agent assigned to Melania’s detail so she could be used as an imposter whenever Melania didn’t want to make a public appearance. It’s phenomenally difficult to believe that a Secret Service agent would go along with this kind of scam. Of course this has led some to suggest that she may not even be a real agent, but rather an actress hired to pose as an agent so she’ll have an excuse to be close by, whenever she’s needed for imposter duty. Of course these popular theories are all based on nothing more than one appearance in which Melania Trump didn’t look like herself. The most likely explanation is that this really was Melania, but she wore so much makeup, it made her face appear to have a different shape. 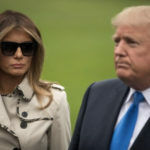 Considering that Donald Trump is a violent sociopath who regularly assaults women and he’s spiraling out of control by the day, perhaps we should be worried about why Melania would try to hide her face with an unusual amount of makeup and oversized sunglasses.